Despite competing without arguably its most consistent defender, the No. 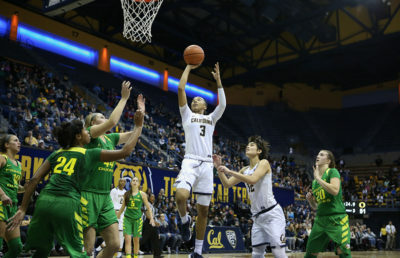 23 Cal women’s basketball team put on a defensive clinic for its home fans Friday night, slamming the door early on visiting Arizona and running away with a 63-39 wire-to-wire win. Combining a mixture of man-to-man and zone sets near the half-court line, the Bears (15-5, 6-3) never trailed, and it became apparent early-on that the Wildcats (5-15, 1-8) were in for a long night. 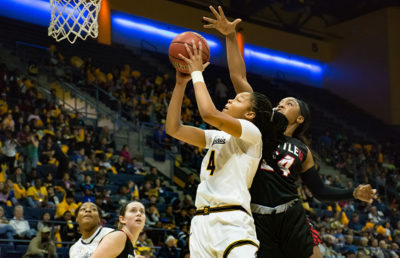 Junior guard Asha Thomas and junior forward Kristine Anigwe paced Cal with 12 points each as the Bears outscored Arizona 42-6 in the paint. Thomas also chipped in four rebounds and three assists in the win. “We did a good job of moving the ball and rebounding, especially offensively, along with just staying locked in,” Thomas said. On the other end of the floor, Cal began the first two quarters on 9-0 runs, culminating in a 38-17 halftime lead that looked more reminiscent of a high-scoring football affair than that of basketball. By halftime, Anigwe had recorded a team-high 10 of Cal’s 28 first-half rebounds en route to her seventh double-double of her junior season. Aside from freshman forward Sam Thomas, who finished the game with 11 points, no other Wildcat found any type of rhythm offensively. Arizona continued to struggle from the field in the second half, shooting 26.9 percent from the field in the latter two quarters. Junior forward Destiny Graham and senior forward Kat Wright would finish a combined 5 of 22 from the field. “Everyone knows we can score, but on the defensive side today, we proved to the conference that we’re a team that can really stop players, and when we’re playing together, we’re playing team defense,” Anigwe said. 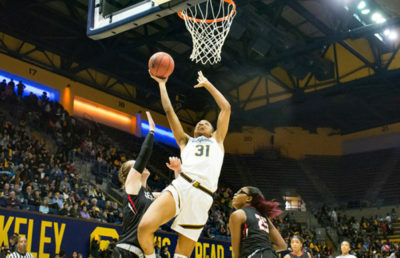 What makes the performance even more impressive is how quickly the Bears put aside the absence of senior guard Mikayla Cowling, who was ruled out prior to tipoff with concussion-like symptoms stemming from Cal’s win last Sunday at USC. Ask any Cal player and they will say the same thing: Cowling is as valuable as anyone on their team, especially when it comes to defense and poise down the stretch of games. 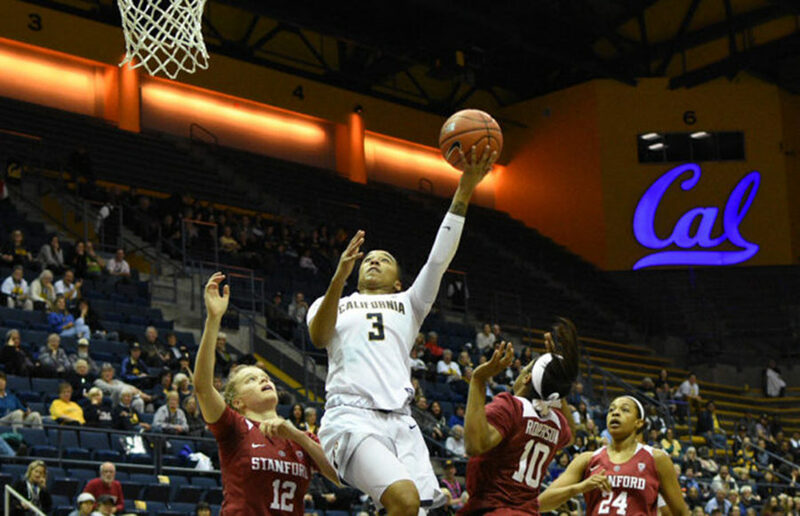 While it was Cowling who helped Cal survive the Wildcats’ upset attempt the last time these teams met, it was a multitude of Bears who stepped up big this time around. Sophomore center CJ West and senior forward Penina Davidson recorded seven rebounds each, cleaning up Arizona’s frequent misses with ease, while Anigwe finished with 15 boards of her own. Cowling actively watched and occasionally yelled words of encouragement as eight different Bears found the bottom of the net in the first half of play.